So you like destroying things? Making loud booms with high explosives? Shooting a wide variety of weapons? DO WE HAVE A GAME FOR YOU! 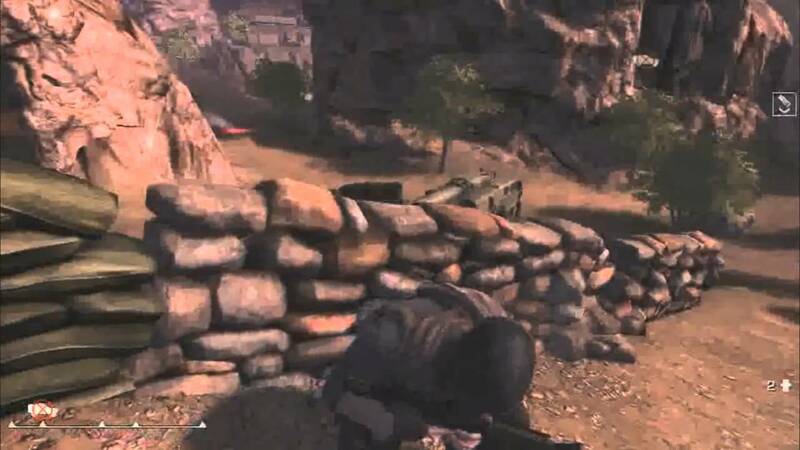 Breach is the newest title from Atomic Games and was originally designed as a training simulator for the US government and then released as a title for the Xbox 360 and Playstation 3. Of course, the first thing that comes to everyone's mind is that this is just another console port, but you couldnt be more wrong. Breach is a full fledged first person shooter that combines the best elements of contemporary titles such as Battlefield: Bad Company 2, Call of Duty and Medal of Honor and pushes beyond. Breach isnt your typical FPS by any stretch of the imagination. Yes, you have guns, a knife and various incendiary devices, but the depth that Atomic has gone to is really stunning. Breach works on a level based system for unlocks, and XP is needed to level yourself up as you play. But unlike the FPS titles we have today, XP isnt awarded solely for killing or accomplishing objectives, it's also awarded for simply playing the game actively. The initial startup screen offers you options to create your own matches, which can host up to 16 players, as well as finding matches on dedicated servers (and yes, TG has one). You also have your standard options for controls, graphics and audio settings. However, one of the more interesting things you can get to from the main menu is the character customization. You can change your player's look from several different outfits as well as designing custom loadouts for each of your kits. When you first get into the game, you'll notice that you have four classes available to you right from the get-go: Rifleman, Gunner, Sniper and Support. There is also a fifth class, the Recon class, which becomes available once you have maxed out both the Rifleman and Sniper classes. Each class starts with a basic primary weapon, a pistol, and, of course, your knife. As you progress, you can spend your experience points to buy new weapons, as well as add-ons for them such as scopes, silencers and recoil compensators. You can also spend your experience in two other ways from the loadout menu: perks and gadgets. There are a total of 13 perks which do things for you like increasing your accuracy, doubling your xp earned or lowering your reload time. There are 10 gadgets that you can buy that range from body armor to sticky bombs. Something to take note of, though, is the fact that the game was designed AROUND teamwork. All the upgrades and perks in the world wont get you very far in Breach if you dont have the team to back you up. Lone wolves dont last long on the battlefield with this game. Once you get into the game, the real fun begins. The first thing you will notice is that the maps are very large. This is certainly a positive aspect as the game only allows for 16 total players, so you wont be seeing a lot of spam-gunning gameplay. The games tend to be a little slower and significantly more tactical. Another aspect is the physics that the game employs. Not only is there realistic deviation and bullet drop on the weapons (a dead on shot at long range with a sniper rifle isnt going to cut it, you have to be calculating! ), but the characters were designed to function with their weight. Lighter classes can sprint faster and farther, but classes carrying heavy machine guns and lots of gear will feel like lumbering behemoths by comparison. Oh, and you dont have to worry about bunnyhoppers, Atomic made sure of that! After that, you get into the meat and potatoes of what makes Breach a fantastic game: active cover and destruction. Active cover is a concept which has been introduced in several other titles, but Breach takes it to the next level. Players have the ability to take cover on almost any static object, such as sandbags, k-rails, walls and vehicles. 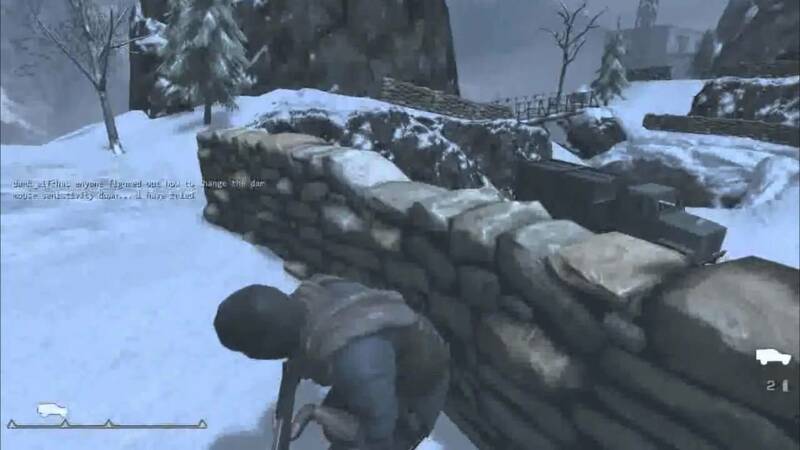 Going into active cover puts the player in a third person perspective and allows them to peek over and around their cover as well as blind firing over or around it. But be careful, for every advantage it gives you, there's a downside: it can all be destroyed. Destruction is really what made this game for me, personally. We've seen a lot of games coming out lately with destructible environment aspects, but they're generally large scale. Blowing up entire walls or buildings, taking out large structures with relatively little effort. Not so in Breach. Atomic implemented a new concept in the game: micro-destruction. Now while you can use explosives to blow fairly sizeable chunks out of things, you can also take everything down one piece at a time. Got someone hiding behind a sandbag wall taking pot-shots at you? Pull out your weapon and start chipping away at the individual sandbags until their head is exposed for a sweet shot. Want to create your own window in a building? Empty a clip into the closest wall to remove a few bricks! House on the side of a cliff with a sniper inside? Take out the support beams holding it up to watch the floor give way. The offensive and defensive aspects of both of those cornerstones is what keeps you on your toes in Breach. Infiltration - This is a "king of the hill" mode. There are capture points all across the map and your job is to get them and hold them. Once they're captured, they award points to the team holding them on a continuous basis. The first team to reach the point limit by holding the most points for the longest time wins. Convoy - The defending team escorts a convoy of vehicles through the map, but its not as easy as it sounds. There are roadblocks along the way which have to be destroyed to advance to the next checkpoint, and then of course theres that pesky attacking team who can damage your convoy, forcing you to stop for repairs. Retrieval - There's a canister...of something super-secret, hidden on the map and it's up to your team to find it and return it to the retrieval point. The team with the most canister captures at the end of the round wins. Team Deathmatch - The old ones are the best ones. Team vs team in a bloody battle to the end. The first team to hit the points limit wins. Last Man Standing - This takes us back to the Counter-Strike days. Two teams, no respawns. Last team with people alive wins the round. The only significant downside to the game right now is the lack of VOIP built into the game. It does have the standard text chat options, but there is no voice communication. However, through the conversations with the guys over at Atomic, they havent ruled it out in future updates, so keep your fingers crossed. Until then, we do have a dedicated channel for Breach set up in our teamspeak server. Last, but certainly not least in the mind of any gamer: how much does it cost? Well, with the way games are priced these days, you're probably expecting to spend half of your next paycheck or sell off your first-born child for a game like this. Fortunately, you'd be wrong! Atomic is selling the game through Steam for $20! Thats right guys, a full featured game that makes most of the other shooters on the market look like child's play for a third of the price. You'd have to be crazy to pass it up. So put on your greasepaint and your balaclava, grab your guns and your grenades and join the fight! You wont be disappointed! Visit http://www.breachgame.com for more information! I'm on the fence at the moment, but will buy this if I find TG-ers to play with. I bought it. Shot out the second row of sandbags & watched the top row still floating in the air. I was done. I hope my 12 bucks help develop a fully destructive environment with voip & many more features. I didn't have a lot of expectations but physics of stuff falling that have no support was one of them.